Commencement ceremonies will take place in Burnsville-Eagan-Savage School District 191 with graduates receiving diplomas at three locations in June. Commencement for students in the BEST transition program will be at 6 p.m. Tuesday, June 5, at River Ridge Education Center, 100 River Ridge Court, Burnsville. 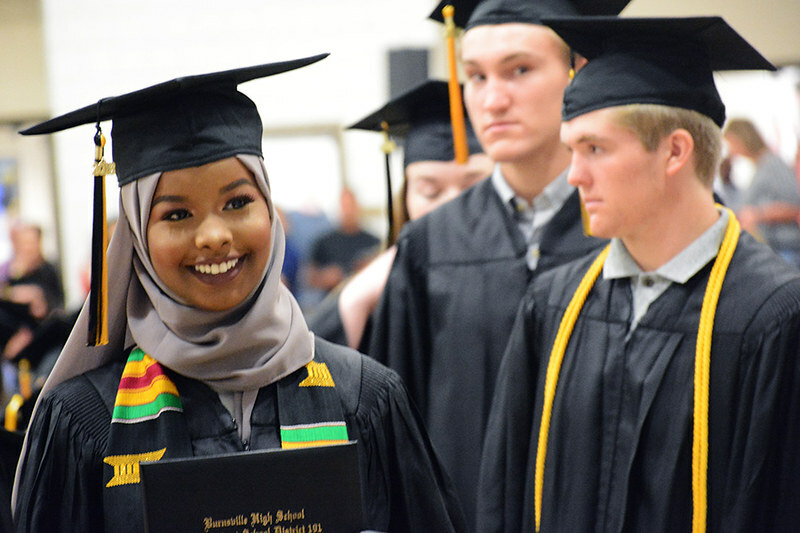 Burnsville Alternative High School will present diplomas to students during a commencement ceremony at 1 p.m. on Wednesday, June 6, in their school’s gym at 2140 Diffley Road, Eagan. Any problems with student Chromebooks over the summer should be fixed only by district technology support. Do not take your Chromebook to another repair place. You can make an appointment on the Summer Chromebook Support Calendar.